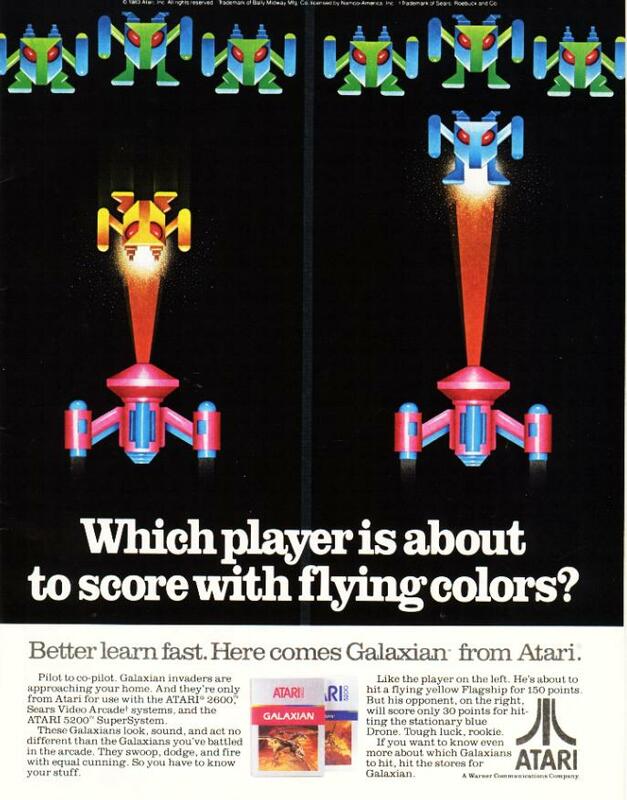 Galaxian is the first game in Namco’s Galaga series, evidently named after the far more popular second entry. Galaxian was developed with the intention of producing a superior, full color clone of Taito’s Space Invaders. Namco teamed up with Midway to bring it to arcades outside of Japan, and Midway teamed up with Atari to bring the game to homes, which is where this ad comes in.